I love all sweaters and vests that are long. I could fill my closet with these items and pair them with dresses, jeans, skirts, you name it and be satisfied. The only issue I run into is – I’m 5 foot flat. So trying to figure out the ‘right’ way to wear a long sweater or vest can be difficult. 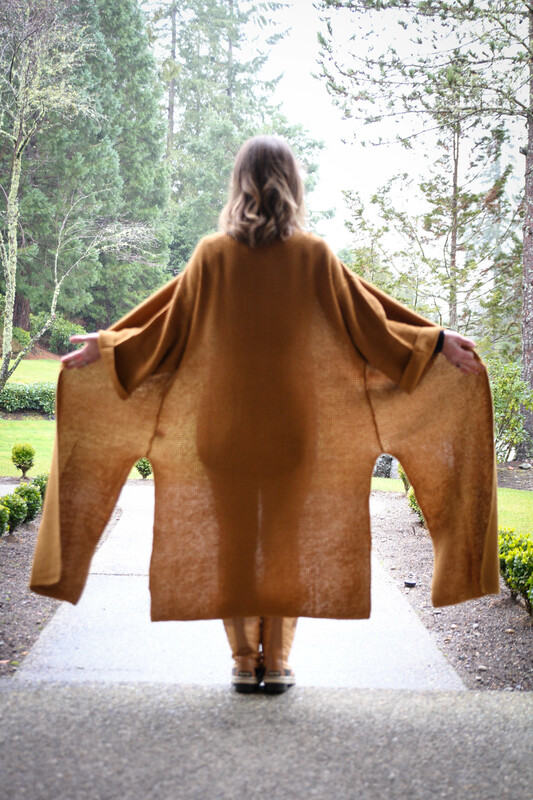 I saw this mustard cardigan on Birdee Clothing’s online boutique and fell in love. Quick tip – I have a rule: If you see a piece of clothing and don’t fall in love with it in the first 5 seconds of seeing it, then don’t buy it, because you won’t wear it! This piece was one of those where I literally fell in love in the first 5 seconds and that’s when I knew I needed it in my closet. So back to my concern of being petite and trying to pull this off. I’m a big believer of being able to wear whatever you like no matter what size, shape, or height. 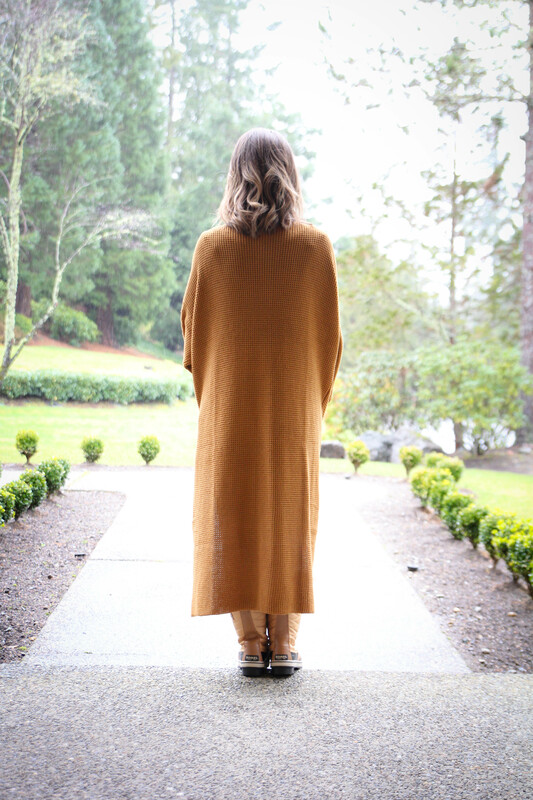 Below, I’ve outlined 4 ways to wear this long cardigan when you’re petite. Try It On. When I got this cardigan, I hung it up in my closet and grabbed a few different dresses I could pair it with, then grabbed a few jeans to see which ones would pair best with it. Then, I tried on all the different outfits I pulled together to see which ones looked best. And I have to admit, almost all looked great. 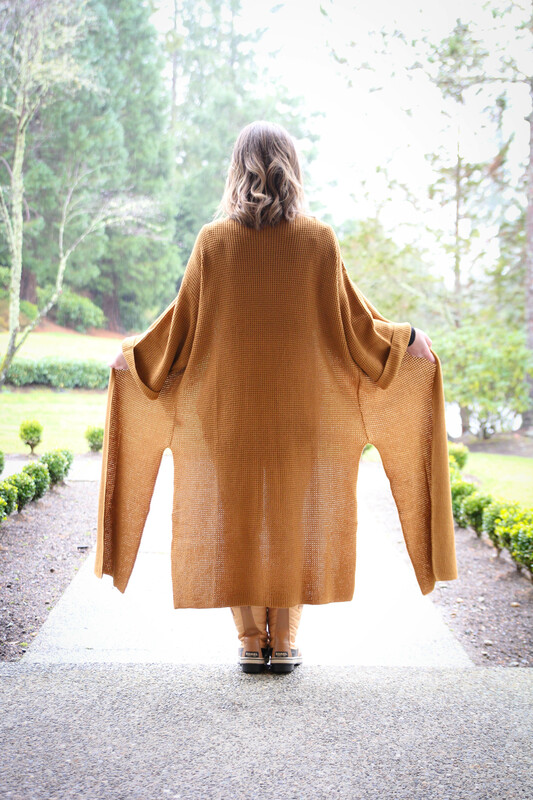 The beauty about this cardigan is there are slits down both sides, splitting up the length and allowing a more flowy look. I also decided to give the bell sleeves a one cuff look since they are a tad bigger on my arms. This helps when you’re 5’0! Flats vs. Heels. You’re probably thinking, should I wear flats or heels with this type of statement piece. When I tried this on, I found that both worked. In these photos, you’ll notice I’m wearing my Sorel boots because it was more of a rainy day. But adding heels would definitely dress this look up plus elongate the look. Add a Statement to a Dress. I’m a firm believer that adding a long sweater or vest to a dress can make a statement, in and of itself. This cardigan is one of those statement pieces. For a casual look – I would recommend wearing a simple, maxi style dress, like this one, pair it with this cardigan, and some booties and you instantly have a new, fun outfit. For a dressy option – I would pair this ruched, long sleeve dress with this cardigan, add a heel and a statement necklace – and you’re set for a date night out. Leggings or Skinny’s Only. Being petite means clothes can look frumpy on you real quick! When pairing this cardigan with pants – I highly recommend sticking to skinny’s or leggings so we can allow the cardigan to be the big, flowy piece to your outfit. Again, this piece should be your statement – so a simple, solid colored tee would be easy to pair with your denim/leggings. 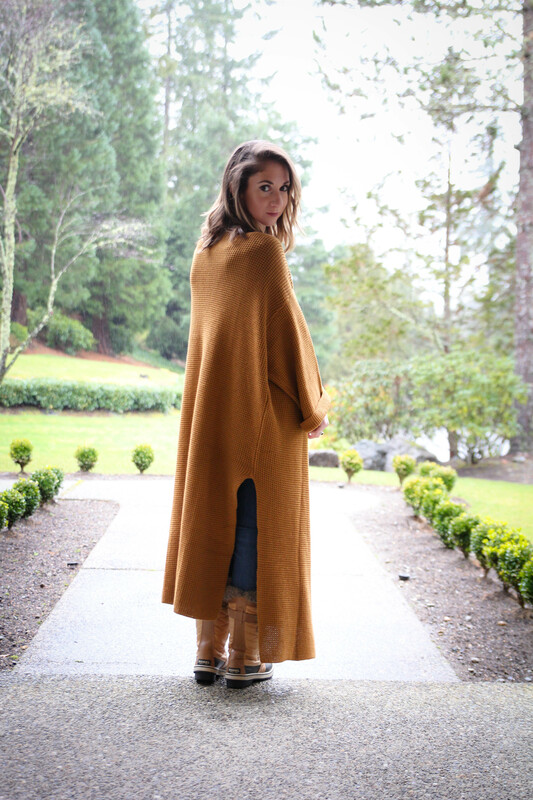 Head over to Birdee Clothing to check out their style and this gorgeous cardigan!